It may be the quintessential accessory for the 7 a.m.-to-10 p.m. (work-to-barre) crowd, but a good gym bag is hard to find. It needs to be large enough to hold your laptop, your lunch, and your sneakers—but not so big that you become a human bowling bowl on your morning commute. Also important? Durability, since your stuff gets a little stinky post-Barry’s (no shame). Oh, and it should be super chic, because everything else is in your life. While it’s a list of demands long enough to send Goldilocks into a panic attack, don’t think you have to settle for a not-quite-right option: A whole new crop of totes are giving the Birkin bag a run for its money in the style department (sans the whole waitlist drama). 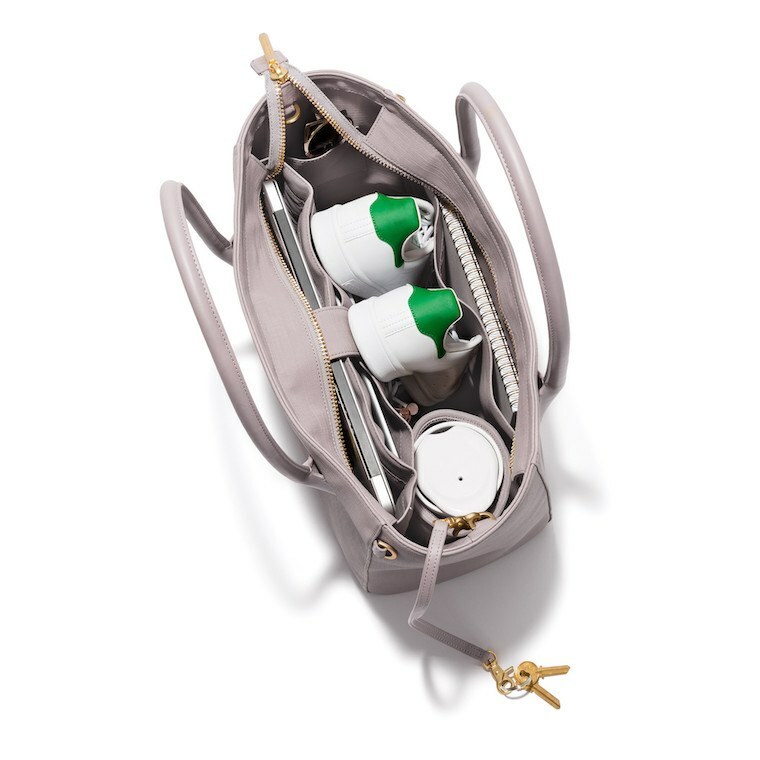 It’s time to invest in a bag that you’ll want to wear from your morning matcha to your evening elixir—without a crick in your back. Scroll down to see seven gym bags that are big enough to fit your sneakers—all while giving off #boss vibes in the office. And for some sneakers to match your chic new bag: These cool-girl faves will help winterize your style ASAP. And to stay toasty in the most frigid temps, these kicks are the ones to scoop up.